You are here: Home / For fiction fans / What do you wish you had done differently? 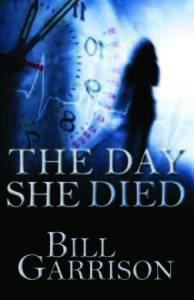 The first book Castle Gate Press is publishing, The Day She Died by Bill Garrison, concerns a middle-aged man with a major regret in his life. Now a coffee shop owner, married with a couple of kids, he wonders what would have happened if he had done things differently the day his college girlfriend died. What if he’d remained in town instead of heading out for the weekend? What if he’d remembered more of the police investigation and asked more questions? As it is, he has no idea why she vanished. Or what happened to her. This regret hangs over his life and colors the way he sees his loved ones. It isn’t healthy. How about the rest of us? Do we have big, big regrets like that? Or even some simple regrets? Personally, I wonder what my life would have been like if I had gone to a different college. The one I did go to, which shall remain unnamed, was not a good place for me. I was unhappy. I was easily led by those around me, who were older than I was (I was 17). I got very depressed for a couple of years. What if I had lived at home and gone to college at the University of Maine, where my father taught? My brother and sister did that. I would have had more emotional support. Or what if I had gone to a Christian college instead of a secular one? I find this idea really attractive now, much later in my life, when I am spiritually at a very different place than I or my family was when I was 17. What if I’d gone to Taylor University? This college in Indiana really appealed to me when I saw it with my teenage sons who were college shopping. I think my life would have been very different if I had gone there. But what would the rest of my life have looked like? Maybe less bumpy than it actually was? Who knows? God works it all together for good, and that’s a good thing. It’s your turn. What’s your big regret? Filed Under: For fiction fans, Phyllis Wheeler Tagged With: What do you wish you had done differently? Congratulations. I wish I’d kept e-mails from all the people that bought my book in the 1st 6 months. I learned the hard way.